The aim of this course is to help participants and participant organizations expand their knowledge and skills that relate to designing and managing the inclusive classroom. Participants will also visit and study a place of interest (e.g. ancient Messini, the historical center of Kalamata, etc) and prepare online lessons or another “product” on a topic of interest. 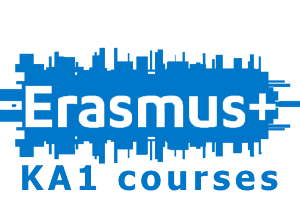 That way the course will, secondarily, marry inclusion with basic ICT skills and European culture and history. be familiar with the Europass. Every participant will have to fill a questionnaire which helps the trainers to customize the course to better fit their needs. Attendants will get instructions and material which will help them to be prepared for the courses needs. The main aspect of the course is to promote collaboration between participants. Lessons will be held in our centre’s classrooms and computer lab, as well as outside. Our approach is to base the learning process on practical rather than theoretical knowledge. The course is designed on active learning methods and, at the end of the course, teach participant should be able to use the taught techniques effectively. The participants will get material which includes information about all the areas covered at the course, lesson plans, all the produced outcomes of the course, useful links and more. This course is for every teacher in primary, secondary, adult or vocational education and training. Contact us for any question, worries or anything else you want to tell us. We will be happy to help you!